On Instagram I follow some news reporters because I think they’re really cool. 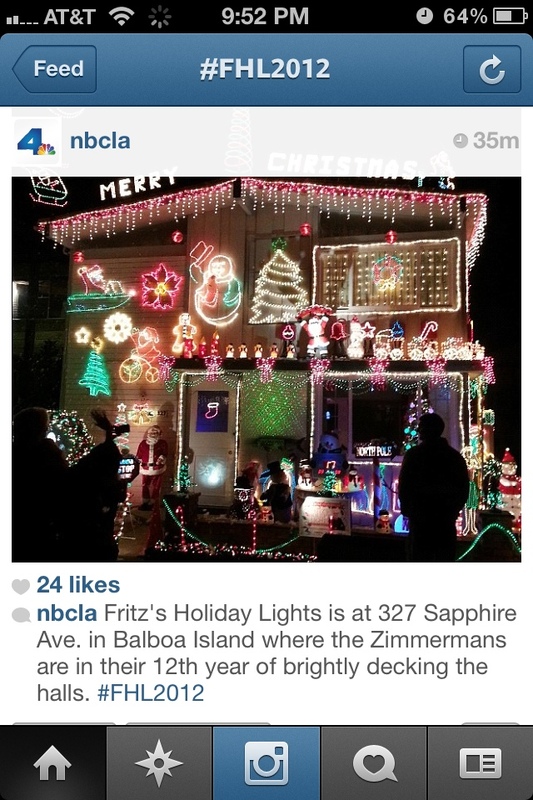 One reporter I follow is Fritz from NBC-LA 4 News. 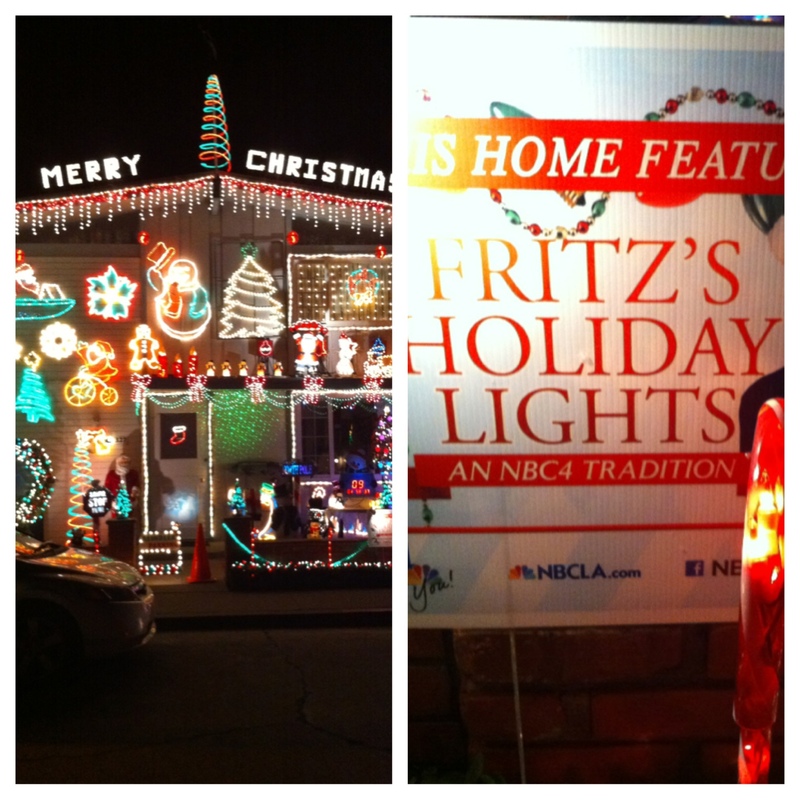 For the past 11 years, Fritz has been looking for houses with extreme Christmas light decorations. Just recently he posted up a picture of one in Balboa Island. Since that’s really close to where I live, I had to go check it out! After my first ugly sweater party, my friends and I had to put our ugly sweaters more into use. So we thought it would be perfect to check out some crazy Christmas lights with our ugly sweaters on! Being able to find the house that was exactly on Instagram was really exciting! I felt as if we were doing some kind of holiday Amazing Race. Finally seeing the house in person was so magical! 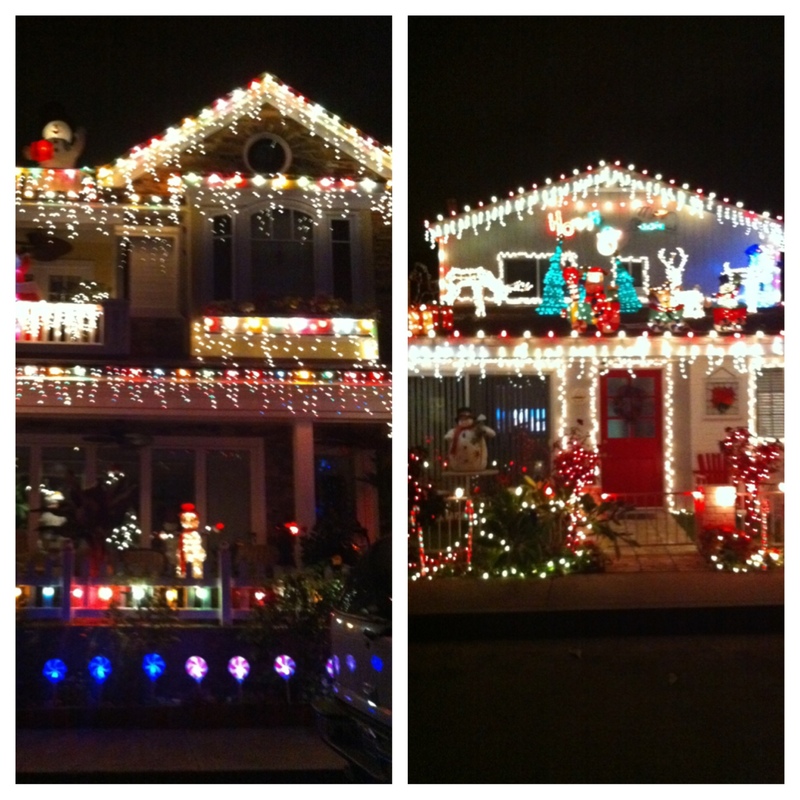 The house was the brightest one on the street so we couldn’t miss it. 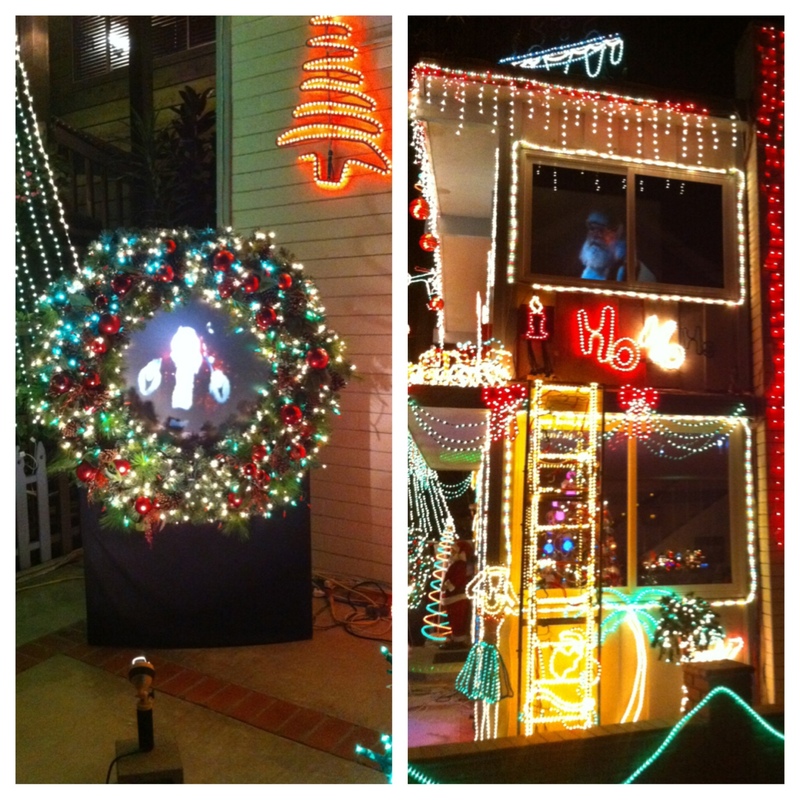 The house was decked out to the max. 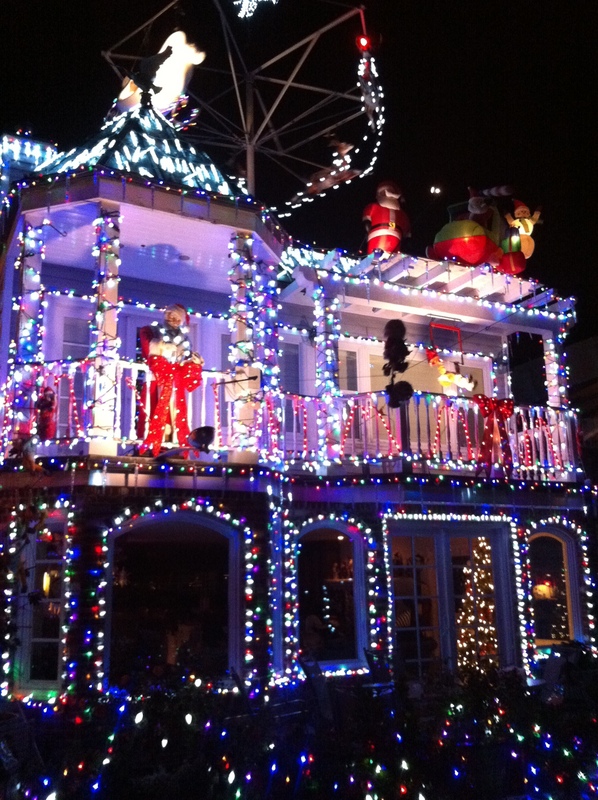 Even the side walls of the house was decorated with lights! Santa was all over the house and it was good seeing him virtually! At one point, we sat on the curb in front of the house. We were in awe of the lights. Don’t worry, we weren’t sitting on the curb all night long. We decided to drive around and look for more Christmas lights. We were able to find the house below just by following the north star! Sounds cheesy, I know. But it’s true! All we did was follow the star that was stood out on top of the house. Then, wah-lah! The house was decked out also! We drove again some more and found a few more houses that had some festive lights. 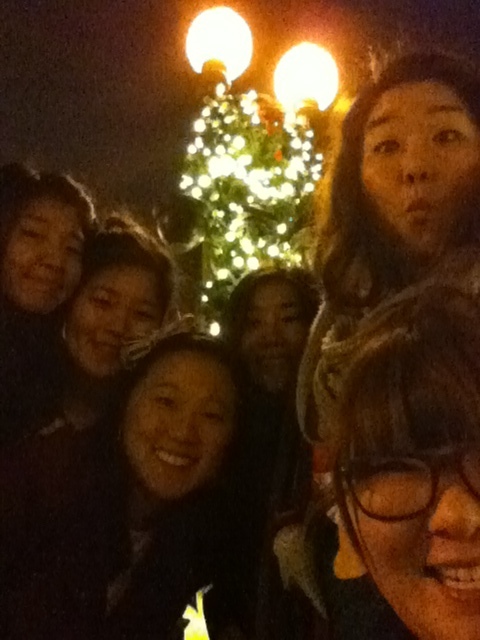 At the end of our Christmas light journey, we took a group picture by the bridge that leads you into Balboa Island. It was a cute little romantic spot especially with the Christmas lights. Thanks friends for my first Christmas light experience of 2012!